"You will be well taken care of here." "Having a great experience here . Great and friendly office ! Def recommend Tae. He helped clear my sinuses today." "Every time I am aching in pain I go to five phases do a couple of treatments and I feel good as new." "Exceptionally positive results for my severe allergies and asthma, with a great improvement for overall health. Tae is highly skilled, careful and professional. Just as importantly he listens carefully to each patient to assist each person individually. Many, many thanks Tae!" "I have always revieved excellenct care and amazing results with each treatment! Tae always goes above and beyond for his patients. His compassion for others along with his passion for his work delivers exceptional results." "Absolutely the best. Cannot recommend him enough. Immense knowledge and very personable. Highly recommended!" "Always treated wonderful, and feel 100% better every time I am there. I am truly amazed at the success I'm experiencing at this time! After having a life time of experiencing back and neck pain, I'm finally feeling relief! I am forever grateful, thank you Tae. Namaste." Not too long ago I was struggling with the lack of energy. I was very tired almost all of the time. Tae Kim and the staff at Five Phases help me get back on my feet, literally. If you have any health issues that you are dealing with, please speak with Tae. Can't sleep, go see Tae. Got pain, get pins! Really and honestly, the team at Five Phases is highly recommended!" "Tae is a serious professional, he is very well educated and very easy to talk to. He is willing to help you out any way possible and handles himself in a very humble demeanor. Pleaser to be one of his clients"
"After experiencing shoulder pains, I was recommended to Five Phases Acupuncture. Tae provided the acupuncture treatments and even showed me helpful stretches and exercises to prevent pain and discomfort! The staff is very friendly and welcoming and I would certainly recommend to ALL my friends!!" "Tae is an amazing Acupuncturist. He has helped many members of my family with allergies, back pain and many other ailments. He is very professional and very, very knowledgeable. I highly recommend him." "I like the fact that Tae tries new treatments and options to find what helps you best. Also the combination of the acu along with pt and chiro really works for me. Why should you go to three professionals, when you can go to Tae?" "Since my early 20s I have suffered chronic acne and redness on my face. I began to suffer from other problems as well, my sinuses and equilibrium being some of the things affected. Everything I ate would make me break out in hundreds of pustules, even healthy foods. Some foods causing me ear infections and vertigo. I went to many doctors including dermatologists, rheumatologists, an Allergist and an ENT." "Tae is a personable and knowledgeable acupuncturist with great bedside manner. He has been treating my neck and shoulders due to a car accident and each treatment brings progress. I would highly recommend him to anyone who needs his help. Great work!" "I go to pt here and Tae also helped me a few times opened up my sinuses . Def helped and saw a difference within a few minutes . This office is very friendly and great staff . Def recommend." 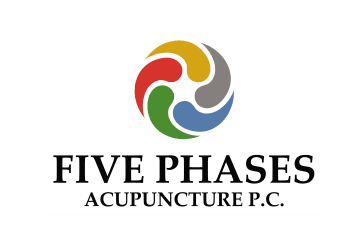 Everyone at five phases acupuncture is stellar! Tae treated my moms Bell's palsy, and it went 95 percent back to normal within a matter of 7 to 10 treatments! I myself have been treated on numerous occasions, and have always found relief from whatever my ailment seemed to be at the time. Be it exhaustion, pain, allergies, difficulty memorizing things for school, he has treated it all for me with great success. I would highly recommend Tae to anyone looking to experience acupuncture for the first time, looking for someone to continue their treatments from another practitioner, or to find the solution to very difficult cases. And, if he cannot treat it, he will find you someone that can. Thanks, Tae, for all of your hard work!""